Google launching a significant redesign for the Google Search app for iPad. Whether you’re doing research and comparing results, or exploring beautiful imagery, we have added new features to make the app more interactive, more visual and to help you find what you want more easily. You’ll notice that searching is faster and more interactive from your first keystroke. As soon as you begin to type, Google Instant starts to display results, so you don’t even need to press the search button. Once you pick a web page to visit, you’ll see the page load on a new, slide-in pane that will layer over the search results. You can slide the pane to the right to get back to your search results, and even keep scrolling through the results as your web page is loading. This allows you to go back and forth from results to web pages quickly to get the information you are looking for. 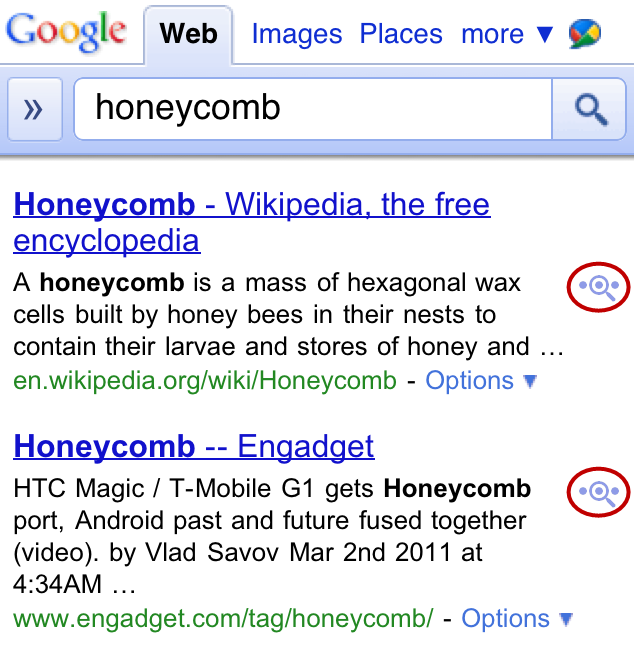 Viewing image results in the app is now much more vivid. Tap on any image result to use the new image carousel, which lets beautiful images shine. 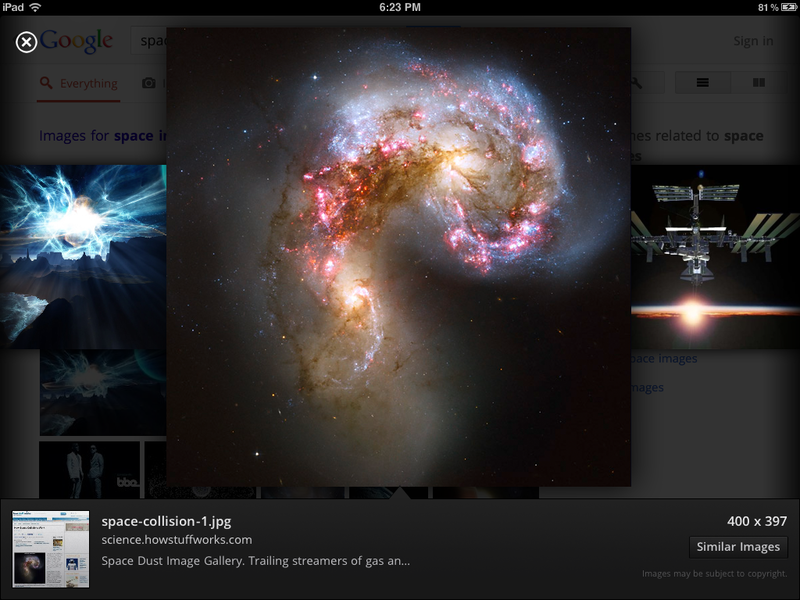 You’ll see the image you selected expand, and you can easily swipe through the carousel to see other similar images. Often you may be looking to find something you have seen before again or are continuing research on a topic. But on a tablet, typing can be a challenge. That is why we have created a visual way to explore your search history. 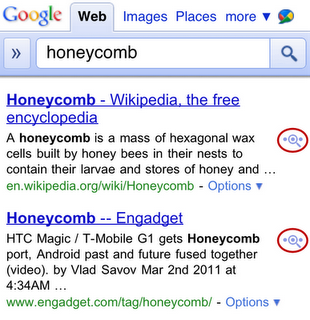 Swipe right to view snapshots of pages you’ve visited, stacked and organized by search term. You can also manage your search history from this new view. With this release, we also brought Instant Previews to the app so you can quickly compare web pages before you choose your result. 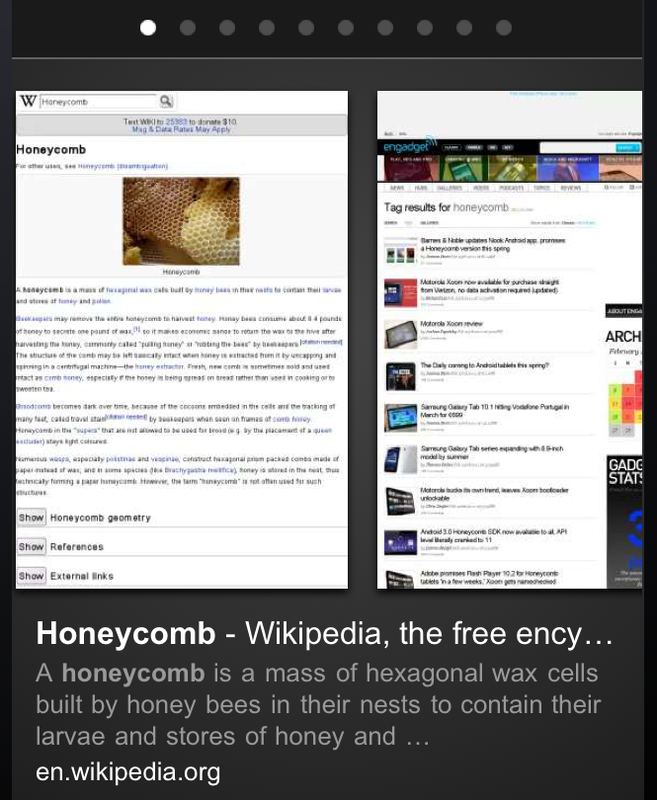 Tapping on an icon in the top right of the screen brings you into a visual preview of the pages for your search result, easy to scroll through with the swipe of a finger. Finally, we added a few extra features that we hope will help you find what you want more easily. After you’ve selected a result, a new tool helps you find exactly what you need within a web page. 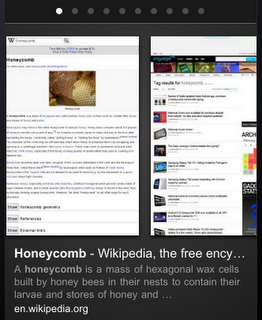 Tap the magnifying glass on the top right-hand corner to highlight the most relevant section of the page. You can recommend pages you like with the new +1 button, right next to the magnifying glass, and help others find relevant sites more easily as well. 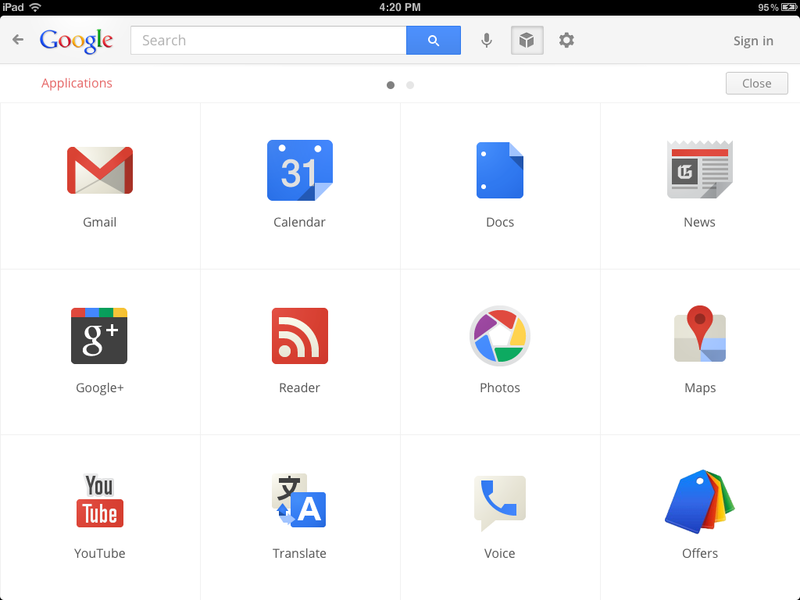 We’ve also made it easier to find and use your favorite Google services like Google News, Calendar and more in the new Apps menu. 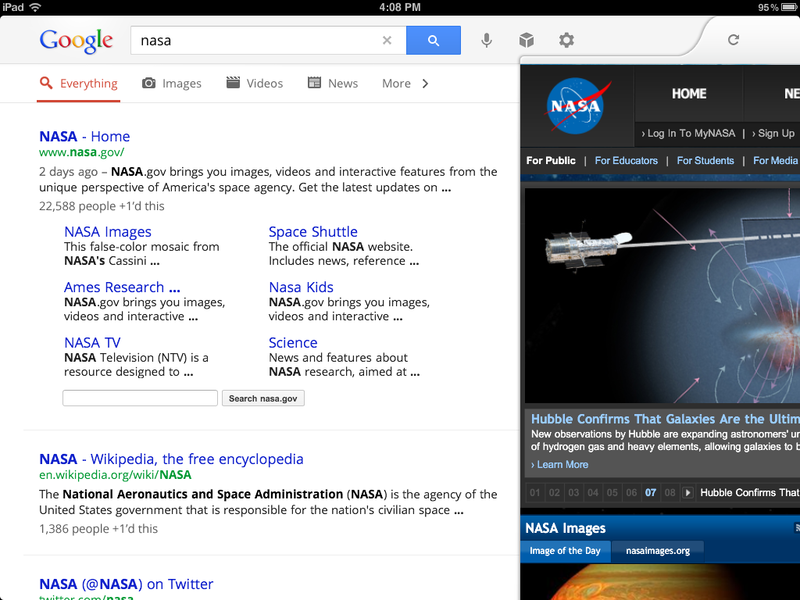 Tap on an icon to quickly read an email in Gmail, or share a post on Google+ within the slide-in pane. When you slide the pane to the right, you’ll be right back to searching. The app is available worldwide for iPads with iOS 4.0+. Download it in the App Store and start enjoying a faster and more interactive experience now. Mobile technology and the web have made it easier for people around the world to access information and communicate with each other. But there’s still a daunting obstacle: the language barrier. We’re trying to knock down that barrier so everyone can communicate and connect more easily. Earlier this year, we launched an update to Google Translate for Android with an experimental feature called Conversation Mode, which enables you to you translate speech back and forth between languages. We began with just English and Spanish, but today we’re expanding to 14 languages, adding Brazilian Portuguese, Czech, Dutch, French, German, Italian, Japanese, Korean, Mandarin Chinese, Polish, Russian and Turkish. To use Conversation Mode, speak into your phone’s microphone, and the Translate app will translate what you’ve said and read the translation out loud. The person you’re speaking with can then reply in their language, and Conversation Mode will translate what they said and read it back to you. This technology is still in alpha, so factors like background noise and regional accents may affect accuracy. But since it depends on examples to learn, the quality will improve as people use it more. We wanted to get this early version out to help start the conversation no matter where you are in the world. 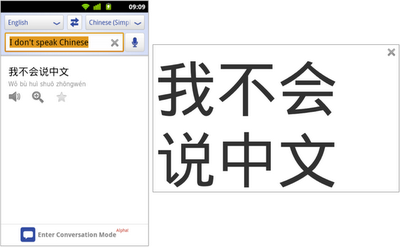 We’ve also added some other features to make it easier to speak and read as you translate. For example, if you wanted to say “Where is the train?” but Google Translate recognizes your speech as “Where is the rain?”, you can now correct the text before you translate it. You can also add unrecognized words to your personal dictionary. When viewing written translation results, you can tap the magnifying glass icon to view the translated text in full screen mode so you can easily show it to someone nearby, or just pinch to zoom in for a close-up view. Tap the magnifying glass icon to view translations full screen. 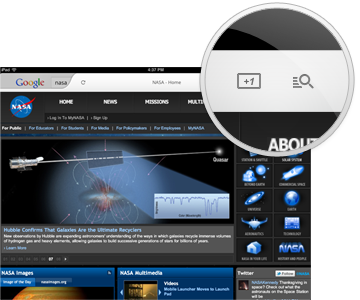 Finally, we’ve also optimized the app for larger screens like your Android tablet. While we work to expand full Conversation Mode to even more languages, Google Translate for Android still supports text translation among 63 languages, voice input in 17 of those languages, and text-to-speech in 24 of them. 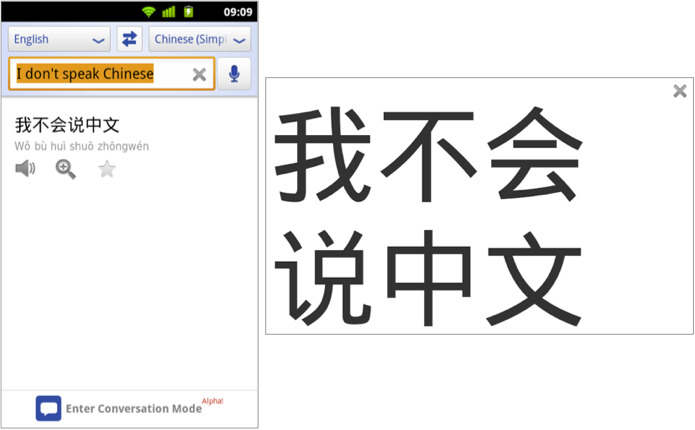 Download the Google Translate app in Android Market — it’s available for tablets and mobile phones running Android 2.2 and up. Instant Previews provides a fast and interactive way to evaluate search results. Starting today, Google Instant Previews is available on mobile for Android (2.2+) and iOS (4.0+) devices across 38 languages. Similar to the desktop version of Instant Previews, you can visually compare search results from webpage snapshots, making it easier to choose the right result faster, especially when you have an idea of the content you’d like to see. For example, if you’re looking for a webpage that has both photos and descriptions, you can use Instant Previews to quickly identify these pages by navigating across the visual search results with a few swipes of your finger. Or perhaps you’re looking for an article, a step-by-step instructions list, or a product comparison chart—with Instant Previews, you can easily spot pages with the right content without having to navigate back and forth between websites and search results. And when the mobile version of a website is available, we’ll show you a preview of the mobile page. You can learn more about Instant Previews for mobile in our Help Center. We hope that you enjoy finding the right result faster with Instant Previews!